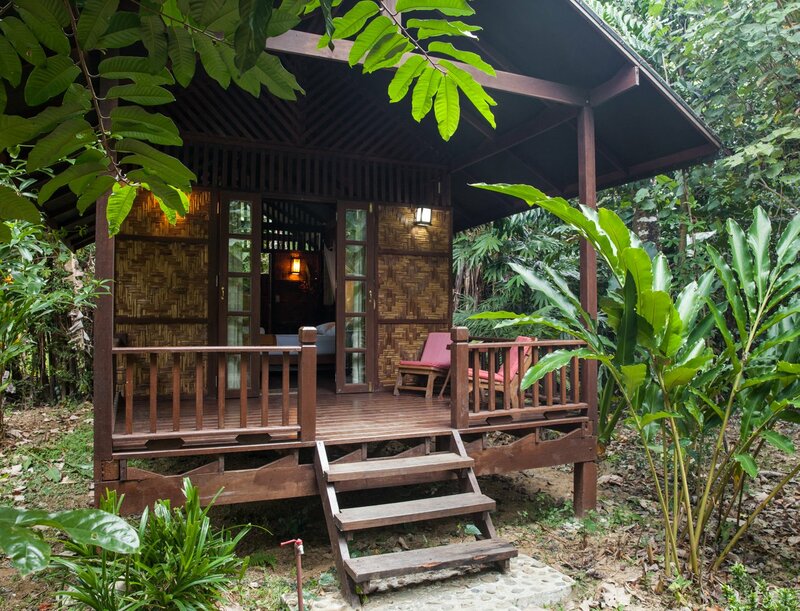 Couples and solo travelers will be spoilt in this charming bungalow! 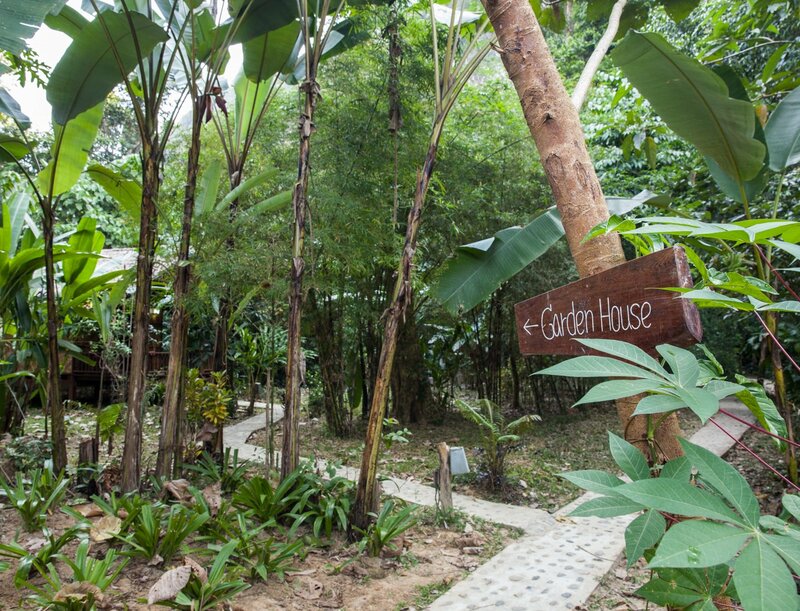 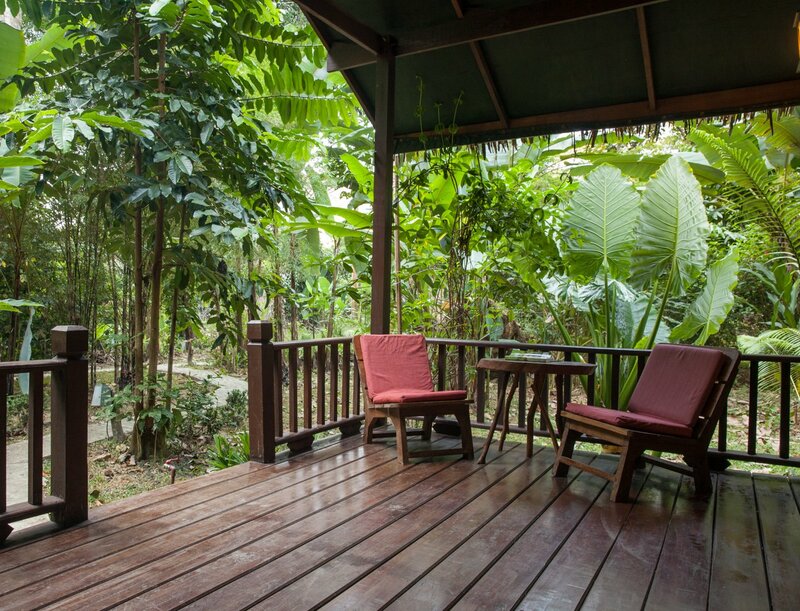 From your deck you will look out onto your own open lawn with wild banana trees, bright green giant palm leaves and an expansive view of the neighboring Khao Sok cliffs. 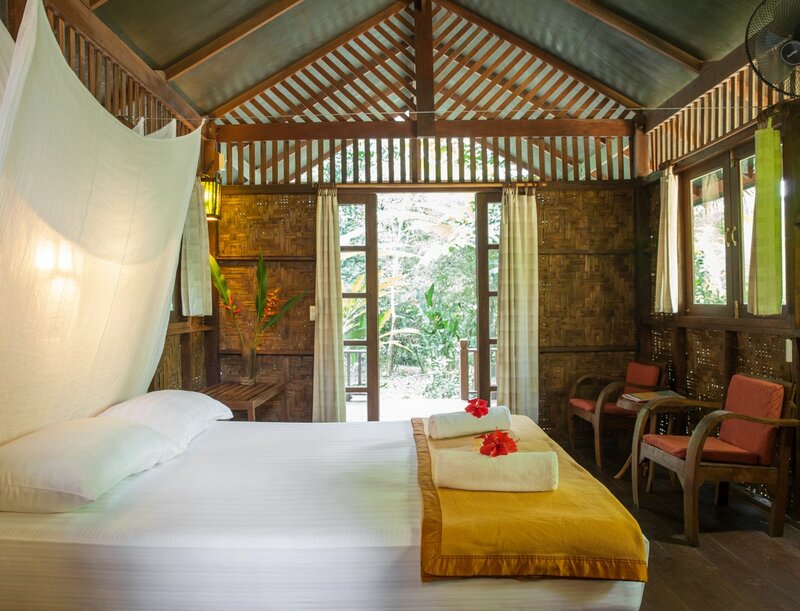 At night sleep in comfort and enjoy the sounds of the jungle from your lovely open interior room. 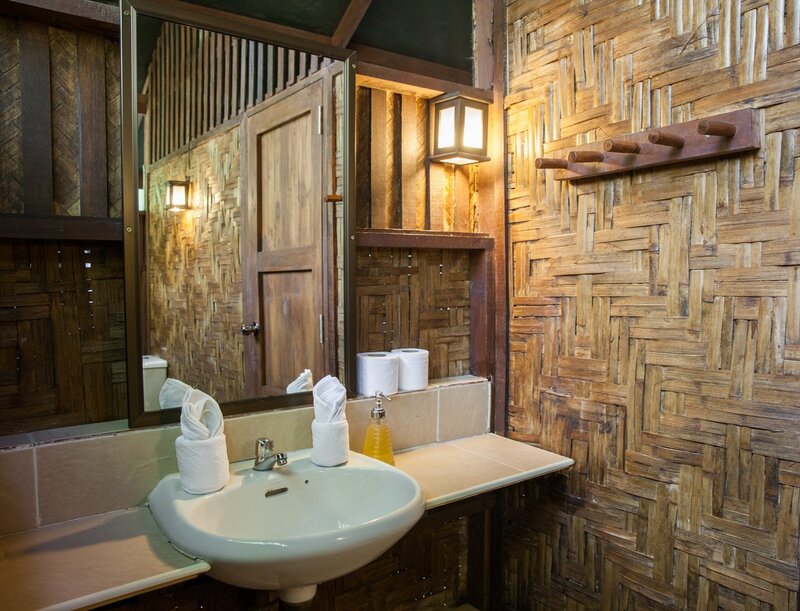 This gem is conveniently located close to our reception area.